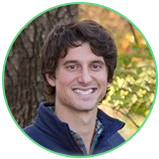 Just Play Sports Solutions was founded in late 2014 by Austin Barone and Andy Wachter, two former college athletes. Both spent time as Division 1 athletes and worked in supporting roles for their respective football and basketball coaching staffs. Understanding the workload coaches endure and the struggles players experience to get ready for competition lead them to develop the Just Play system. Just Play streamlines coaches’ workflows and allows them to better teach their teams. It is rapidly changing how coaches are able to engage their teams and is being utilized by hundreds of coaches across the country. Just Play Sports Solutions currently provides playbook, scouting, and teaching tools for football, basketball, and lacrosse. 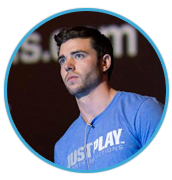 Austin Barone originated the idea for Just Play, while playing football at the University of Kansas from 2012 to 2015. During Austin’s last season, and while developing the beta version of Just Play for football, he spent time in the coaches box on game day, allowing him to fully understand a coach’s workflow. The experience provided Austin with an understanding of the tools players and coaches need to better connect to each other, and he has been able to utilize his network and experience in growing Just Play. Austin holds a Bachelor of Science in Accounting from the University of Kansas. He has also won multiple entrepreneurial awards including Pipeline Entrepreneurs “Student Spotlight”, KU Innovation and Collaboration’s Student Pitch Competition, Tortoise Capital Scholarship, and the Morris Business Plan Competition. Andy Wachter was previously a senior web developer for Sony Pictures Entertainment before he began working with Austin on developing the software for Just Play. He transitioned to Just Play full-time in the fall of 2015. Andy was a member of the basketball program at Wichita State University before transferring to Pittsburg State University. He also spent a season as a graduate assistant basketball coach following his playing career. Andy has been able to utilize this experience, his technical expertise, and his professional network in developing Just Play. Andy holds a Master of Science in Technology and a Bachelor of Technology from Pittsburg State University. 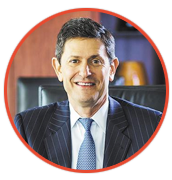 Jonathan E. Baum is the CEO of George K. Baum & Company, a Kansas City-based investment banking firm, and its related entities, and also serves as the President of its Merger & Acquisition broker dealer, George K. Baum Capital Advisors. Mr. Baum is currently on the Board of Directors for Children’s Mercy Hospitals and Clinics. 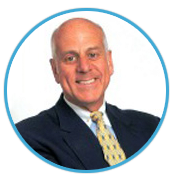 In addition to Just Play, Mr. Baum has served as a board member or advisor for numerous not-for-profit and for-profit enterprises. Prior to joining George K. Baum & Company, he served as a Vice President with Salomon Brothers Inc. in their Mergers & Acquisitions Department in New York City. He holds a Master of Business Administration from the University of Chicago. Domonique Foxworth is a writer for ESPN’s “The Undefeated” and a former NFL defensive back, playing a combined six seasons with the Denver Broncos, Atlanta Falcons, and Baltimore Ravens. He held a number of positions with the NFL Player’s Association, including becoming the youngest player to serve as Vice President of the NFLPA Executive Committee, as well as President of the NFLPA in 2012 and 2013. 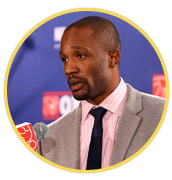 After leaving the NFL, Mr. Foxworth, a graduate of the University of Maryland and Harvard Business School, served as COO of the NBA Player’s Association. Brian McClendon was a Vice President with Google before joining Uber in June 2015 to work on mapping. 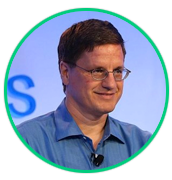 Prior to joining Google, he was a co-founder and angel investor in Keyhole, Inc., a geospatial data visualization company that Google purchased in 2004 to produce Google Earth. Keyhole itself was spun-off from Intrinsic Graphics, of which Mr. McClendon was also a founder. He was inducted into the National Academy of Engineering in 2015 and holds a degree in electrical engineering from the University of Kansas. Wallace W. Meyer, Jr. is the Director of Entrepreneurship Programs at the University of Kansas School of Business. Prior to this role, Mr. Meyer served as an executive at Gillette, Nabisco, and Sprint and has entrepreneurial experience with start-ups, turn-around situations, and IPO implementation as President/CEO of four new ventures. He also has experience in consulting both Fortune 500 and emerging companies and in marketing a wide array of products and industries. Mr. Meyer holds a Master of Business Administration from Baker University and a Bachelor of Science from Franklin & Marshall College.